This country with 7,107 islands is more than a charming place with white beaches and warm people; it is a capable and fertile ground to plant your investments. First, it is the home of many talented professionals who are highly proficient in reading and writing English. The public schools did quite a good job in providing a strong command in English that now entices South Koreans and Japanese to learn English in the Philippines. In 2010, Philippines become the worlds BPO capital, there was a surge of Call-center companies that generates 8.9 billion peso revenue. Subsequently, there is quite an opening of foreign company subsidiaries in many of its freezone areas. These, are relatively connected to the competitive supply of English-speaking professionals. Aside from effective educational system that gives free primary and secondary education, is the country’s colorful history. The exposure to American, Spanish, Japanese and even Chinese culture makes Filipinos more flexible and open to diversity. Therefore, when you are a foreigner doing business in the country, it is not a challenge to flourish and live, as Filipinos are known to treat foreigners well. Second, Philippines is a country popular on its resiliency. And proof to that are some iconic individuals who made a mark even in the global arena. A company’s DNA is the people behind it. In the country, you will never run out of supply of highly competitive professionals to make up this DNA. Third, it is majorly a civil law jurisdiction supplemented by common law. Hence, its laws are rigid and straightforward. Generally, there is no need to have a charged-up and emotional litigation to win a case. Since laws are express and clear, it is easier to forecast and determine legal requirements. The country is a niche of many impressive legal minds who are now in the Congress and are vigorous in coming up with laws that are made attractive to foreign investors. A point to that are the establishments of several freezones and the passage of Foreign Investments Act of 1991 (FIA) which is proven to be very attractive. What is FIA and why is it remarkable for foreign investors? In order to attract more investments in the country, instead of limiting foreign ownership to specific equity shares, foreign companies or individuals may own 100% shares of a company. And to harmonize FIA provisions with the 1987 Constitution, there is a clear list of activities that cannot be conducted by a 100% foreign-owned company. List A, are those prohibited under the 1987 Constitution. List B, are those required under other laws. List C, activities which are identified to not require for foreign investments. As a rule, an export-oriented enterprise can own 100% of the shares. While in domestic market enterprises, there is a need to revisit the negative list to ensure compliance. Freezones equally attract investments because of its tax saving features. When a company passes the evaluation, it can enjoy years of tax holidays and preferential tax treatments. Imagine not paying the regular corporate tax of 30% on the net income. Aside from that, under applicable laws, a company is exempt from tax when it imports specialized office equipment and furniture, specialized vehicles, professional instruments and household effects. Fourth, a company with at least 60% Filipino equity can own land in the Philippines. This is an advantage to companies who want to own real properties and not restricted to leasing properties. Fifth, while there is stiff requirement to own land in the Philippines, investors or even 100% foreign owned companies may actually purchase condominium units. This is a good investment device because the population growth increases the demand for residential properties and translates into an increase of real estate property value. Sixth, because the country is meaning to increase more investors, the Corporation Code (BP 68) governing registration of corporations in the Philippines is undergoing a major revamp. The proposed amendment to the 38-year old law was approved by Senate on its 3rd reading and is set to take effect January 2019. A fascinating feature of the amendment is the eradication of the need of 5 to 15 incorporators in a corporation. The amendment seeks to offer a one-person company that will totally change how the corporation is manned or managed. This one-person corporation will increase registration of companies and avoid the highly volatile sole proprietorship milieu. Why sole proprietorship is frowned upon and why a corporation is encouraged? Well, it is all about in the liability. When you are a sole proprietor and you run a business, the liability of the business extends to the person of the sole proprietor. However, when you are corporation, the liability of the corporation is separate from the people (shareholders or directors) comprising it. Despite the ease of opening a business solely owned, opening a corporation is still a clever choice for investors. Also, what the amendment is pursuing is removing the lifetime limit of a corporation which is 50 years. With the amendment, the corporation may exist perpetually unless the registrant chose a shorter lifespan. There is even a power to revive already expired corporations with the proposed amendments. Seventh, opening a bank account is surprisingly fast and easy. The intense competition in the banking industry reflects a favorable treatment to depositors. Banks are accommodating and come up with more appealing service bundles that will help a company start its journey. 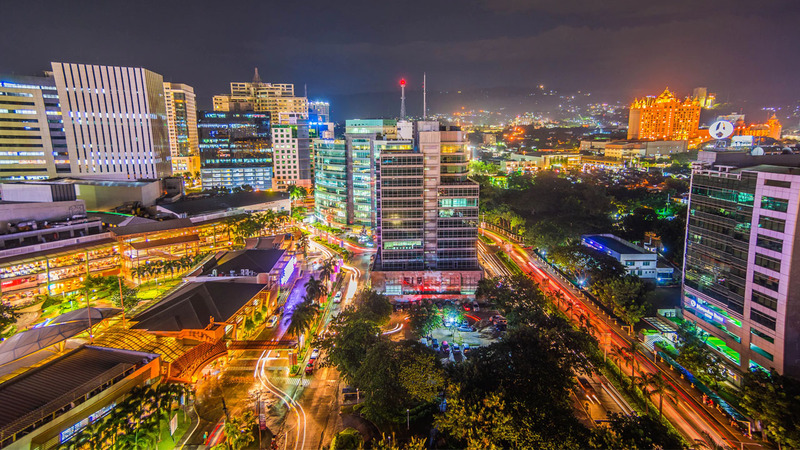 Because Philippines is embracing the attitude of shedding the traditional and ineffective trends in investments, and opening more of its doors to investors, its façade should be more than a friendly country surrounded by beaches. It should gain a positive imagery to investors.